Some years ago when I was in France, we would drink soupe au vin (wine soup) which was served extremely cold on hot summer days. 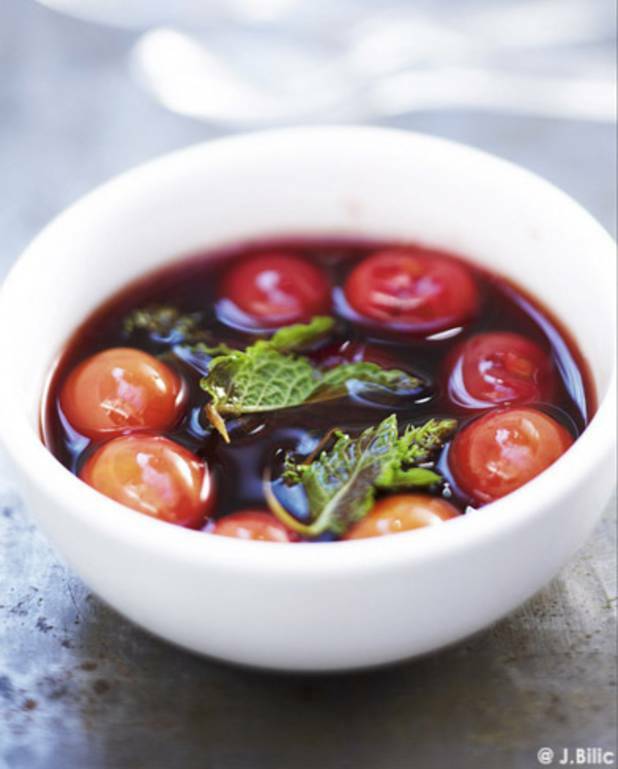 Not being in France and the summer days are now getting hotter, I would like to make some soupe au vin myself. Can anyone make a recommendation of what sort of wine would be best? The wine does not necessarily have to be red or French and if my recipe could be improved somehow please go for it. I simply recall that on hot summer evenings this was such a nice pleasant drink to have while using a bowl and soup spoon to drink it from. It looks like it can be either red or white wine, but mostly it's made with red wine. I would look for a fruity, light bodied red wine to complement the fruit and sugar. A Burgundy or Beaujolais but not too expensive. The bitter the strawberries, the sweeter the wine is a kind of good rule AFAIK. If not using wine, I've had a really good experience with a blackcurrent cream (6/8°). It came from Burgundy/France. It gives a more sweet, and a little more thicker soup. It can be use alone, or mixed (40% to 60 % or +/-) with red wine. Pinot noir is my favourite, but @Ken already gave you some good tips about wines (Muscat, Chardonnay, Pinot, Asti, Gamay...) so I'll focus about the if my recipe could be improved somehow part of your question. I made soups with a couple of freshly cut mint leaves in it (feels really refreshing then). You can also add cinnamon, or vanilla, or ginger in the wine when you heat it (but I recommand not to use any two of them at the same time and mixing). A tiny lemon juice (some drops) over the strawberries also adds some refreshing taste. Instead of the toasted bread, little cubes of cinnamon bread is good too (but then, no cinammon in the wine when heating, otherwise, it's too much of it). Basically the Strawberry Wine Soup is an uncooked soup and as such a wine that is paired with strawberries should fit the bill. So consider something from a cool-climate region, because cooler spots produce grapes with high acid: Germany's subtle, beautifully balanced dessert rieslings; a demi-sec (medium) champagne; or frothy, honeyed Italian moscati d'asti. Choose a premium Bordeaux pudding wine such as sauternes if you really want to splash out. But then again one could simply go with strawberry wine. As seen in the above image the French use all sorts of fruit in their Soupe au Vin. 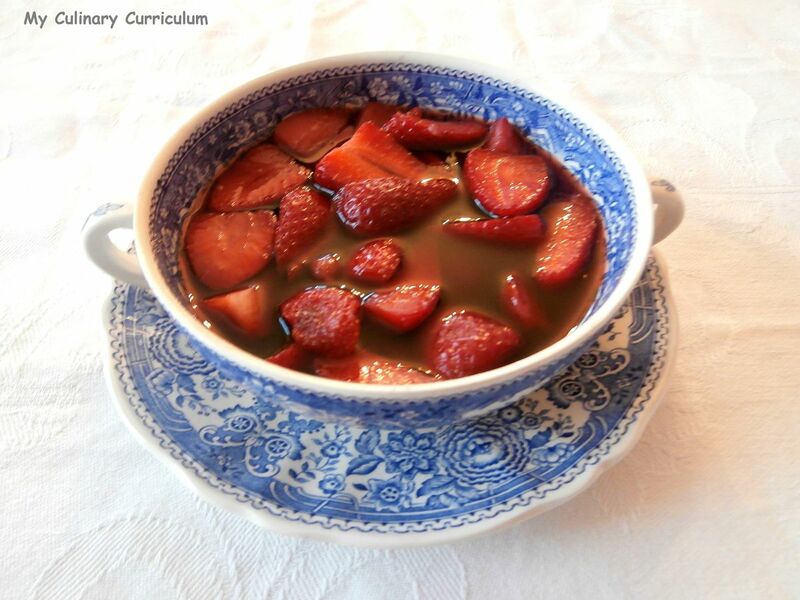 This soup is simply not done with strawberries or toasted bread cubes. Not the answer you're looking for? Browse other questions tagged wine recommendations or ask your own question.